Brace Yourself!! 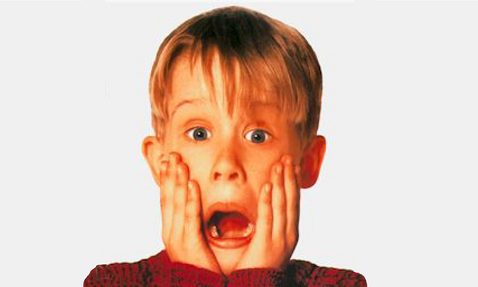 ‘Home Alone 5’ Just Got Greenlit!! ABC Family and Fox TV Studios announced that production has begun on the latest installment in the popular “Home Alone” franchise, starring Malcolm McDowell, Debi Mazar, Edward Asner, Eddie Steeples, and Christian Martyn. The movie is set to premiere as part of the network’s annual “25 Days of Christmas” programming event. 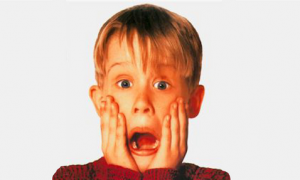 In “Home Alone 5: Alone in the Dark” eight-year-old Finn (Martyn) is terrified to learn his family is relocating from sunny California to Maine, and the scariest house he has ever seen! Convinced that his new house is haunted, Finn sets up a series of elaborate traps to catch the “ghost” in action. Left home alone with his sister (Jodelle Ferland) while their parents are stranded across town, Finn’s traps catch a new target – a group of thieves (McDowell, Mazar, Eddie Steeples) who have targeted Finn’s house. Produced by Fox Television Studios, the movie is directed by Peter Hewitt (“Garfield”), and written by Aaron Ginsburg & Wade McIntyre (“The Finder”). Part of the Disney/ABC Television Group, ABC Family is distributed in over 97 million homes. ABC Family features programming reflecting today’s families, entertaining and connecting with adults through relatable programming about today’s relationships – told with a mix of diversity, passion, humor and heart. ABC Family’s programming is a combination of network defining original series and original movies, quality acquired series and blockbuster theatricals. Emmy® Award-winning ABC Family.com provides a variety of interactive entertainment and community features, from rich, fan-centric programming – including blogs, viewing parties, webisodes, full episodes of the network’s hit programming, along with sneak peek exclusive previews and behind-the-scenes clips. ABC Family is also the destination for annual Holiday events with “13 Nights of Halloween” and “25 Days of Christmas.” ABC Family. A New Kind of Family. Fox Television Studios produces scripted and unscripted programming for US broadcast and cable networks, and international broadcasters. The studio produces the hit series Burn Notice, currently in its sixth season, and White Collar, which just wrapped its fourth season, both for USA; The Killing for AMC, which debuts its second season on April 1; and the series The Glades for A&E, currently in season three. FtvS pilots currently in production include Graceland, from White Collar creator Jeff Eastin, for USA, as well as The Americans for FX, and This American Housewife for Lifetime. Among the studio’s unscripted programming is the competition series The Great Escape for TNT. Good gravy, folks. Let’s just learn to say no. This entry was posted on Thursday, March 15th, 2012 at 4:14 pm	and is filed under Film, News, Television. You can follow any responses to this entry through the RSS 2.0 feed. You can skip to the end and leave a response. Pinging is currently not allowed. Holy crap…. didn’t Malcolm McDowell used to have a CAREER to think about? He used to, but maybe in his old age, he’ll do anything. Crazy to think about. « Teenager Dies At ‘Project X’ Inspired Party In Houston!! !